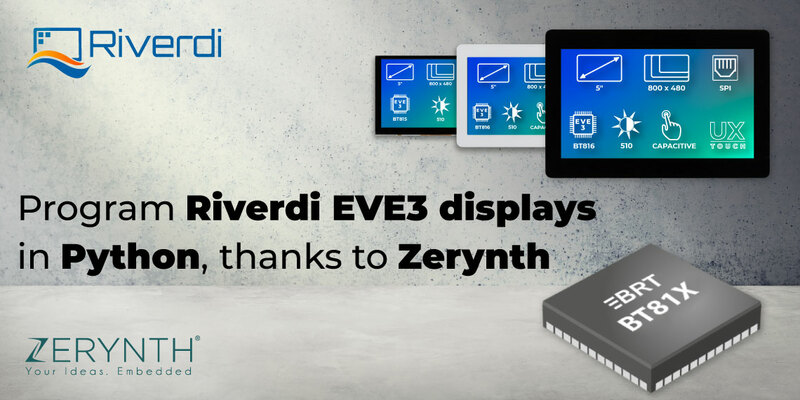 With the third generation of the popular EVE display modules on the market, we thought that it was the right time to make a comparison between all the versions. We wanted to give you all the necessary information so that you know precisely which EVE module you need, the next time you’re browsing our shop. But first of all, what does exactly EVE mean? EVE is short for Embedded Video Engine, and the term was created by Bridgetek, for one of the lines of their graphics controllers. 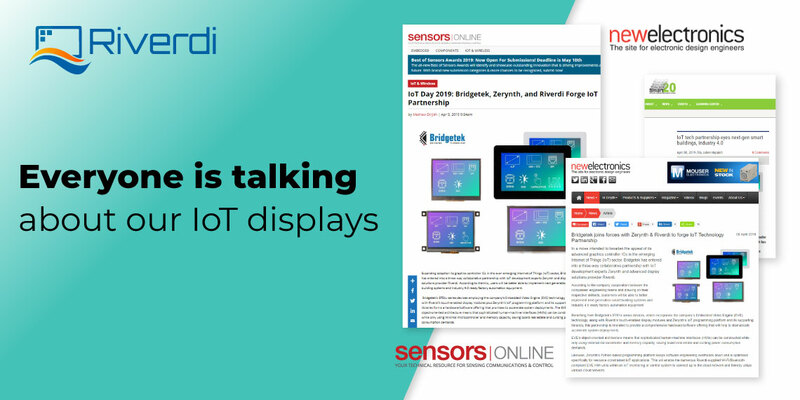 This particular line was designed for creating high-quality Human Machine Interfaces (HMIs). As you probably already know, FTDI is famous for its USB technologies. 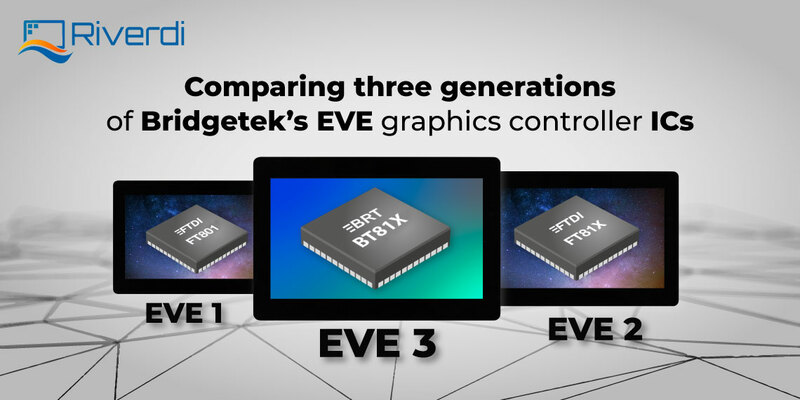 But after launching the EVE series of graphics processors and getting so much success out of it, they have decided to move the EVE series and Generic Purpose processors under the Bridgetek brand. So that is the whole explanation of why the suffix changed from FT to BT. 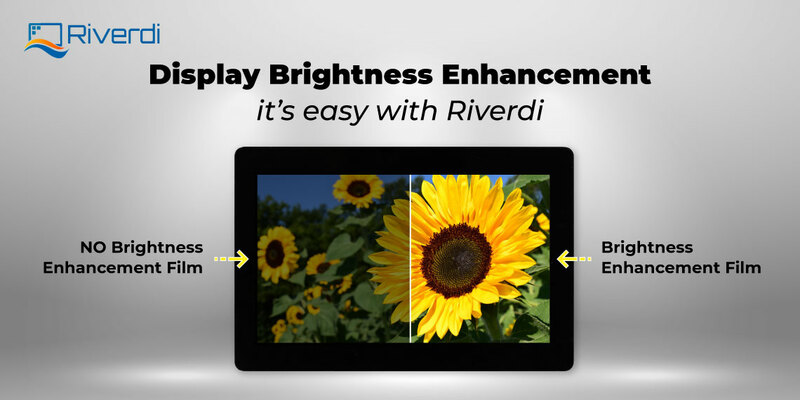 Bridgetek’s EVE technology was developed for graphics and video applications, and it blends three great functionalities – audio, display, and touch. 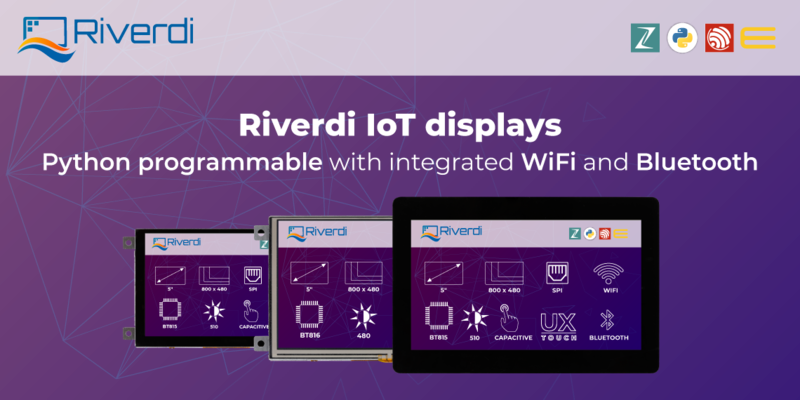 One of the major advantages of this line of graphics controllers is low power consumption, and support for LCD display’s SVGA, WQVGA, and QCGA. After the two former generations of EVE display modules – EVE1 (FT80x) and EVE2 (FT81x) comes the newly released third generation – EVE3 (powered by the BT81x family of graphics controllers). 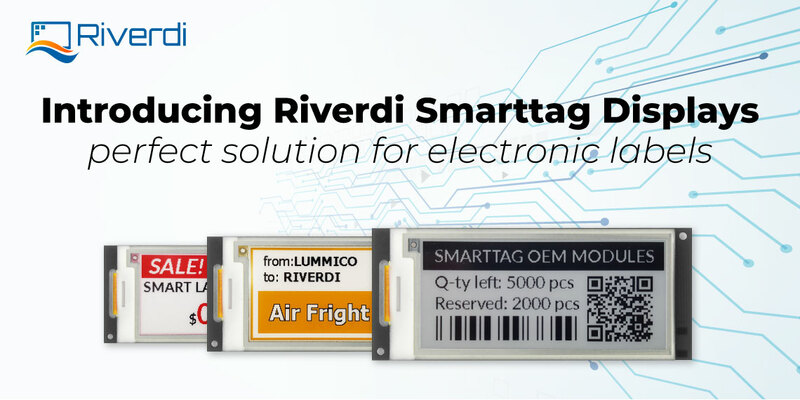 The new EVE3 modules offer many improvements, like a better image and a video decoder, extended memory management, and faster SPI connection. As you can see from the table above, the major new functionality of the EVE3 IC is the support for external memory and ASTC. The presence of the Adaptive Scalable Compression (ASTC) algorithm allows keeping the high image quality with major savings in memory space. The audio has also been improved – the analog output has changed for the digital one. Thanks to the flash host port, the chip memory can be used for asset storage, which frees up the SPI bandwidth – so, this is what speeds up the communication. By default, the external memory on the EVE3 modules has 64Mb, but if your application requires more than that, feel free to contact us and we’ll be happy to make a customizes solution for you. You can use our Customization form. When it comes to the development kits for the third generation of EVE display modules, the Hermes board works perfectly. It allows you to connect the EVE module directly to your PC. On the other hand, the Revelation board simulates your MCU mainboard and the Breakout board 20 allows you to connect the module via prototype wires to your design. Of course, all the EVE display modules work perfectly as a development platform.